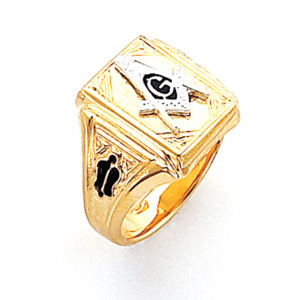 Solid back, vermeil masonic ring with rectangular top. Blue Lodge logo, full color. Dark blue enamel on sides. The G, compass and set square emblem is fused to the top. Made in USA.